The house was packed at the 2012 Rogue Valley Clean Cities Coalition’s 2012 Fleet Conference this week. Several dozen people filled the Jackson County Public Works Auditorium to hear speakers from Jackson County, Rogue Valley Transportation District, and Rogue Recycling, among others, talk about shifting all or part of their fleet to vehicles that run on compressed natural gas (CNG), propane, electricity, or some combination of the above. 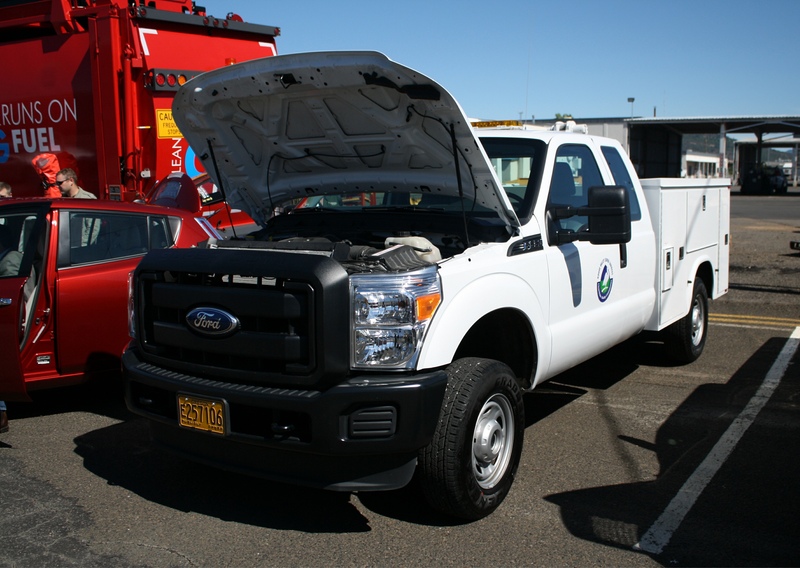 Butler Ford Fleet Manager Mike Cocchiara discussed his role brokering a deal for Rogue Valley Sewer Services that involved ordering a Ford factory-built F-350 to be outfitted with a service body and CNG conversion by Knapheide Manufacturing. 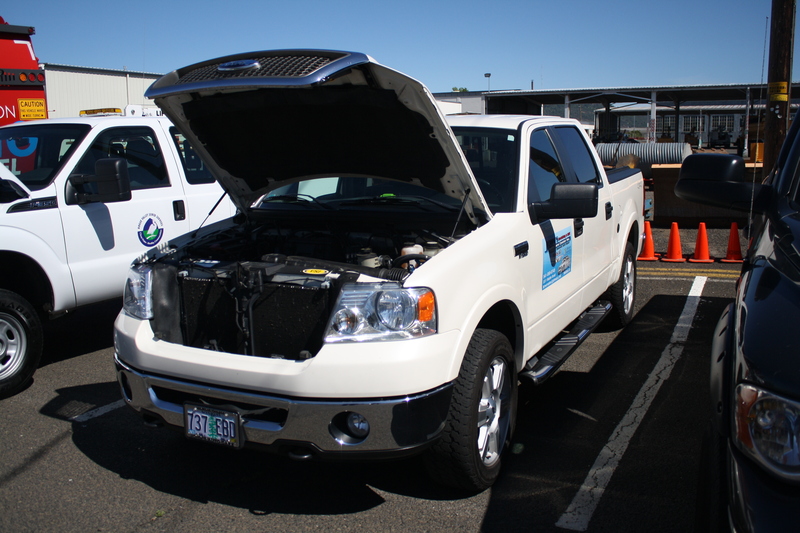 Butler Ford delivered the one-ton truck in February 2012 at a total cost of $51,000 ($35,000 for the truck, $16,000 for the CNG conversion). RVSS says the truck is being used to carry workers and equipment to work sites. The waste water treatment facility expects to recoup the cost in fuel savings after 105,000 miles. 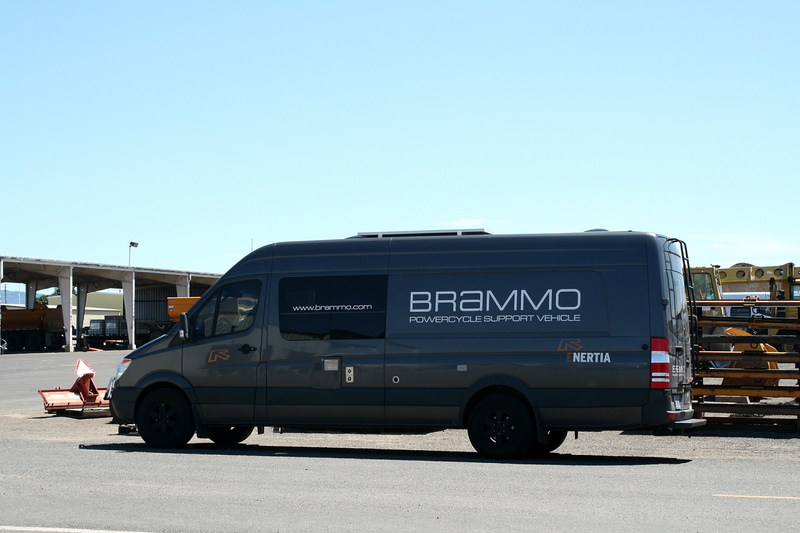 The conference was preceded by an auto show featuring a handful of alternative fuel vehicles including a presence by Brammo Electric Motorcycles, Rogue Disposal’s CNG-powered Mack garbage truck, and the F-350 Butler Ford helped RVSS acquire. 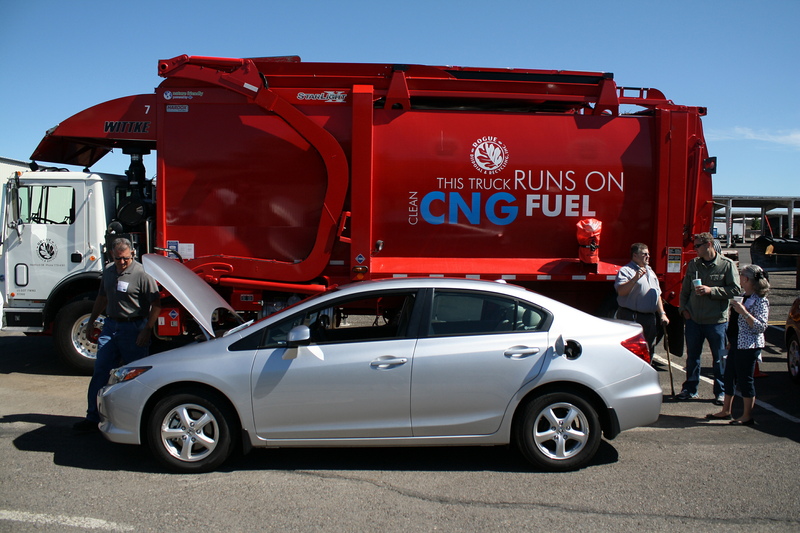 Also on display were a couple Nissan Leafs, a CNG-powered Honda, and a Ford F-150 converted into a gasoline/propane hybrid. The Clean Cities Coalition was authorized by Congress to help move the U.S. away from dependence on foreign oil, and receives funding from the U.S. Department of Energy. 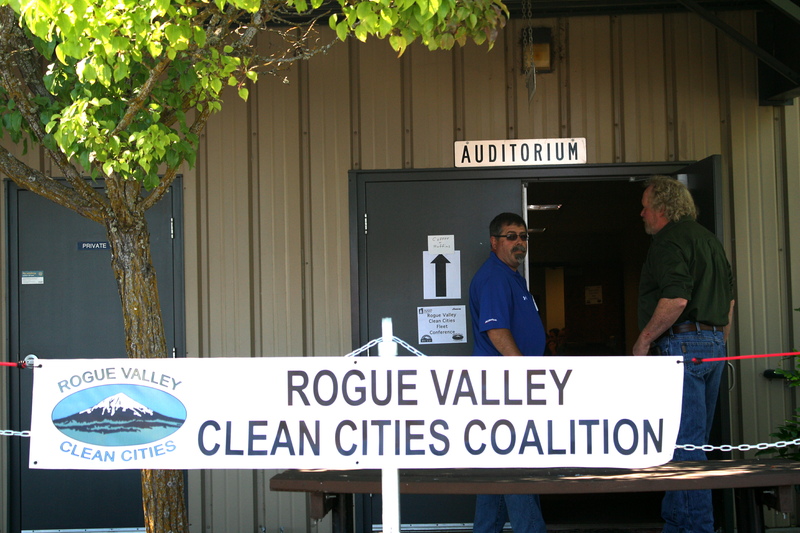 There are two Clean Cities Coalitions in Oregon: the Rogue Valley chapter (RVCCC)and the Columbia-Willamette Chapter. The RVCCC board meets monthly. 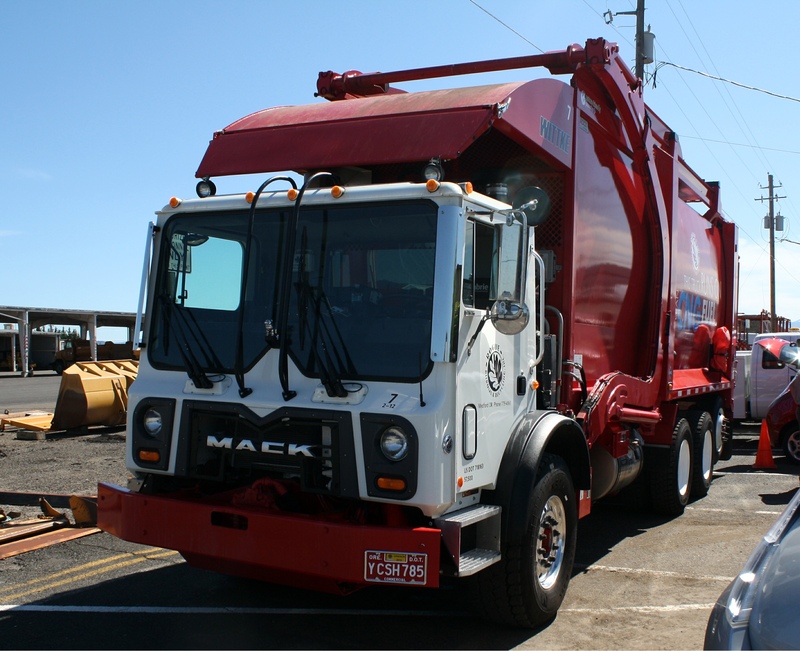 To learn more about alternative fuel vehicles and fueling stations, apply for a board position, or seek guidance in converting a single vehicle or fleet to an alternative fuel source visit http://www.roguevalleycleancities.org/about.html. « 2013 Ford Mustang Configurator Competition: Win Your Dream Machine!